We are at your disposal for technical, after-sale assistance and for the requests of THOR-spare parts and accessories. You can send us you request by filling in the following form. Please indicate your personal data and the details of the products you own (model, series and serial number). All the relevant information regarding your product are reported on the identification plate. (see the plate). Otherwise you can contact us at the tle. nr. +39.0171.946709. As you receive your THOR product, together with the instruction manual you will find also the guarantee card (see the guarantee card). 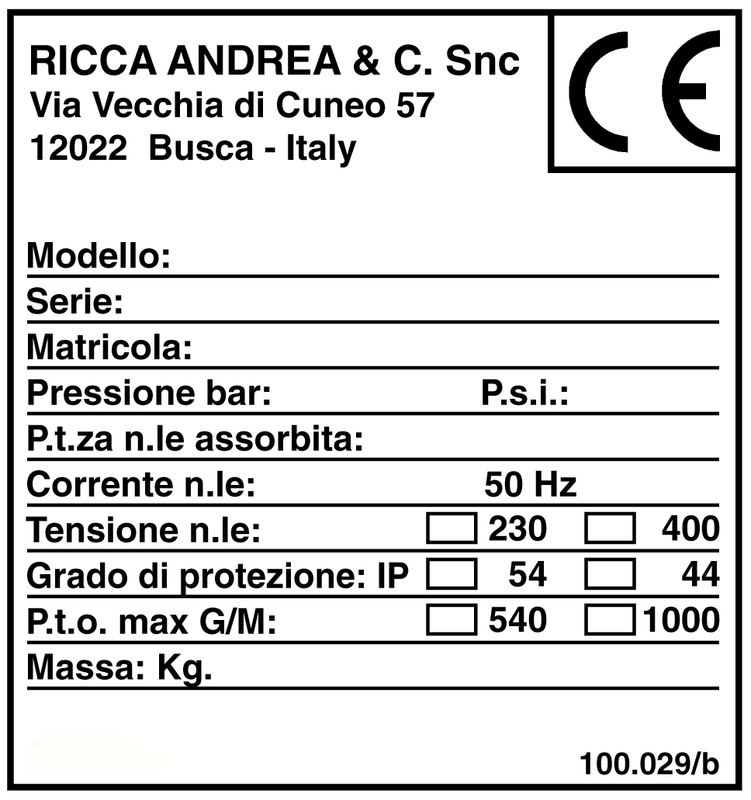 3rd part: it must be sent back to the producer, the Company Ricca Andrea & C. Snc. The card part you keep with you shall always be shown to the technicians when you need to replace some parts of your THOR product. IMPORTANT: The guarantee is valid only if the card is completely filled in. Fill in the following form!